Will vitamins extend your lifespan or just shrink your piggy bank? Recently researchers delivered a double dose of negative press for consumers regarding the use of vitamins and supplements. First, the University of Minnesota reported the results of the 19-year Iowa Women's Health Study, which followed more than 38,000 women who were around age 62 at the start of the study in 1986. It found that the use of multivitamins actually slightly increased the risk of death for these women. Then came news that the regular use of Vitamin E actually increased the risk of prostate cancer in men, in a study funded by the National Cancer Institute and reported in the Journal of the American Medical Association. -- In 2009, The New York Times reported on the results of several studies that showed no evidence that the use of vitamins or supplements help prolong life or prevent chronic disease. -- In 2007, Copenhagen University reported on a study that reviewed 815 clinical trials into the benefits of vitamins A, E, and C, alongside beta-carotene and selenium. The study found no support that people who took these vitamins or supplements improved their health or increased their lifespan. In some studies, the university found that the use of these supplements actually increased the risk of death. -- In 2008, the website insidermedicine reported the results of a meta-analysis of 67 randomized clinical trials and data from more than 200,000 subjects that showed that taking vitamins did not have an overall positive effect on longevity. It's an interesting exercise in human psychology to read the online comments in the two latest stories: They range from outright skepticism to accusations that the pharmaceutical industry funded the studies, along with many anecdotal stories of how taking vitamins and supplements have improved readers' lives. And I have to admit to some of my own denial. Having taken vitamins and supplements for years on the faith that they'd help prevent chronic disease and improve my health, I was a bit skeptical at first when I read the recent reports. But when I learned about the wide range and number of studies conducted by reputable institutions that showed how little effect -- and sometimes what negative effects -- vitamins and supplements had on our health, I had to reassess my own feelings. Is it because I don't like being told something that's contrary to my beliefs? When I looked into it, I found that my wife and I spend about $75 per month on vitamins and supplements. While some supplements are for specific conditions, a big chunk of that money goes towards general multivitamins. If we decide to reduce our spending on vitamins by $50 per month and instead invest the money earning three percent per year, we'll accumulate more than $22,000 over the next 25 years. Looks like ditching the multivitamins might help me make my retirement savings last longer, so I don't outlive my money. One commonly expressed rationale for using general multivitamins is that it's "insurance" against not getting sufficient vitamins from a poor diet. But it looks like this notion isn't supported by the research. The best insurance against a poor diet is to adopt a good diet. Eat plenty of fresh fruit and vegetables, lean protein, and the right kind of fats -- if you do that, the research seems to support that you'll get most of the nutrients your body needs. Now don't get me wrong: Evidence supports the use of some vitamins and supplements for specific medical conditions, such as prostate health for men. That's why my wife and I won't eliminate all our vitamins and supplements. My advice is to discuss the use of vitamins and supplements in light of your specific health conditions with your doctor during your annual physical - which you should be doing anyway if you're over the age of 50. Self-medicating and self-diagnosing just doesn't make sense. This issue won't go away quietly. 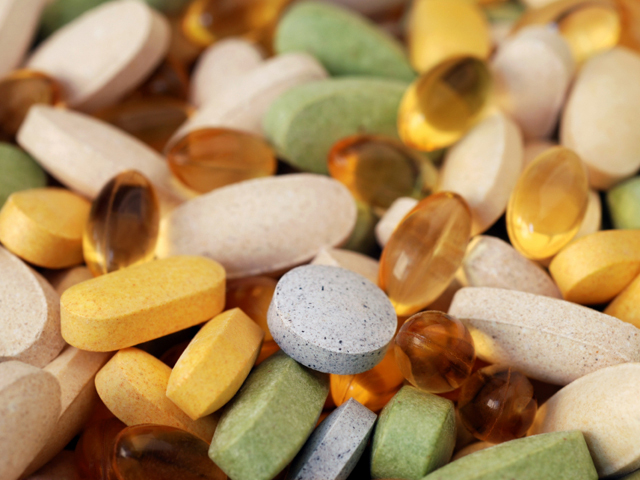 According to The New York Times article, half of adults take some form of vitamins at an annual cost of $23 billion. I expect to see a lot more reports and research on this topic in the months and years to come. Stay tuned!